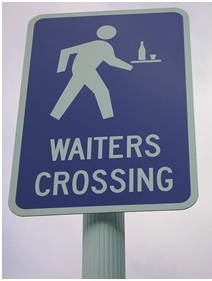 Today is National Waiters and Waitresses Day! If you don’t already know, today is a great day to show your appreciation for your waiters and waitresses, whether you work at a restaurant or are just a customer. If you do work at a restaurant, be a little nicer to your fellow employees today. Help them out if they are in need; make their day a little easier in some way. If you are a customer at a restaurant today, the best thing you can do (aside from leaving a couple of extra dollars on the table before you leave) is to be nice and understanding toward the wait staff. If your meal comes out a little differently than how you ordered it, don’t yell at the waiter for getting it wrong (it may not have been their fault), simply tell them the issue and ask them nicely to correct it. A little kindness goes a long way in a restaurant environment, and being rude doesn’t solve anything. So, take this day to appreciate your waiters and waitresses a little more than you normally would. Tip them a little higher today, be a little nicer. And above all, thank them for doing what they do so well with a smile on their face. If you really want to go all out for your employees (or if you REALLY like your waiter or waitress), get them the gift of a new uniform from www.ChefUniforms.com! We’ve got uniform shirts, aprons, pants, and many more items to fulfill any restaurant uniform needs. Enjoy our low prices and start shopping today!